The idea seems logical: when a product or material enters the economy it should stay there – if it comes from below the ground. If it comes from nature it can return at a rate the eco-system can absorb it. The problem is, we are living in a society that has been weaving a complicated web of laws, rules and, taxes and fees since money was created. At the moment it just doesn’t pay. Ushering in the circular economy means making sure it pays by dismantling a few parts of this framework and replacing others. But where to start? Are there existing points of control that can be adapted to stimulate circularity? This article identifies a few essentials. 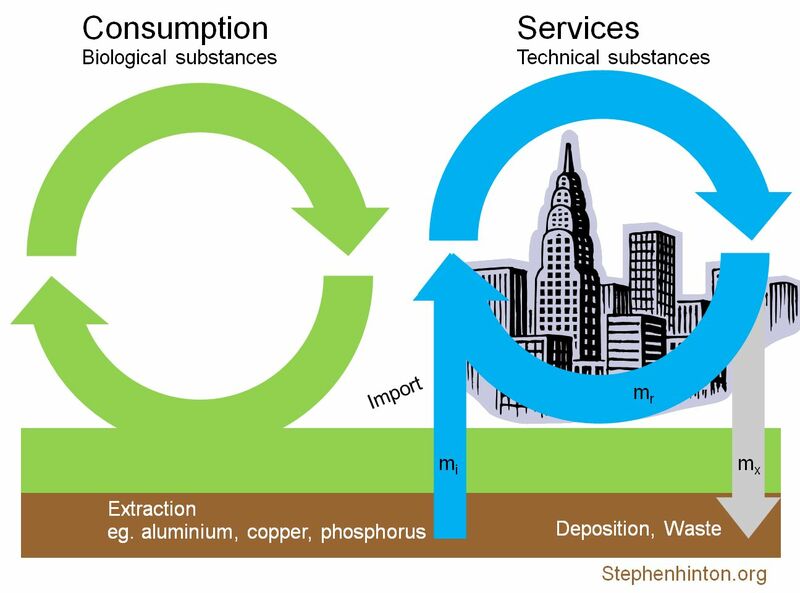 The diagram above shows a simplification of the circular economy, the blue circles illustrating the flow through the economy of substances from below ground, for example aluminium, copper, rock phosphorus. mi represents materials imported to the economy, mr those that are recycled to new raw materials and mx those that exit the economy. The EU classification brings with it the ability of the importing country to impose levies and a range of restrictions. Entry into the economy via extraction. Extraction is already well-regulated in terms of licences and agreements. This covers both solids, like anthracite and gasses like nitrogen, which is extracted from the air for use in fertilisers among other things. 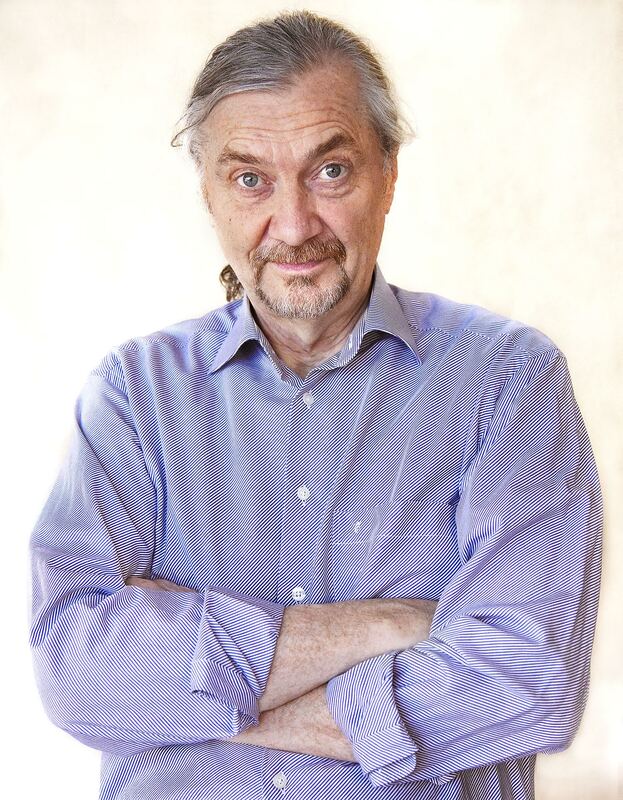 If follows that a suitable economy exit point or threshold can be identified as when the product passes from consumer to recycler and that there are solutions already in place where producers create their own recycling organisations. The more expensive something is, the more carefully it is handled. If policy states that certain elements – this could included aluminium, copper, phosphorus – should be recycled rather than dumped, then raising the price to import them as raw material for manufacturing would encourage the market to recycle. A fee levied at the entry point will make the imported material more expensive to incorporate in a product compared to recycled material. the Swedish Sustainable Economy Foundation envisages putting a circular levy as a surcharge on import duties and raising it at regular intervals until the relative price of recycled materials is lower than import. However, introducing the levy would make all products incorporating the material more expensive to the end-user. If the end-user starts to purchase these products as no alternatives are available, the effect of the levy is to simply remove money from the economy, giving consumers less to spend and thereby effecting, in the end, employment. To redress the imbalance, all or most of the fees levied should be returned to tax payers as a dividend. Guaranteeing the repayment of a sufficient fraction of the levies in equal amounts to every tax payer by law will be an important step in an Environmental Fiscal Reform and an essential component for majority support in a functioning Circular Economy. The repayment is needed to secure that the majority of the tax payers will always receive more dividend (repayment) each month than their increased cost of living due to the fees levied to correct the price signals and to create a sustainable economic incentive structure.